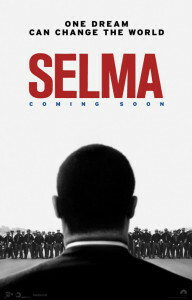 I spent a night in Selma back in 2010. After having dinner at a private home in Thomasville, about an hour away, I arrived at the St. James Hotel after dark. Exhausted, I checked in, had a hot bath and got into bed, too tired to consider the ghost stories of Jesse James and his phantom dog supposedly roaming the upper floors. The next morning, I awoke and pulled back the curtain in the window. Selma’s main landmark — the Edmund Pettus Bridge — was visible right outside in the early morning fog. I had a few minutes before my van pickup, so I rolled my suitcase down to the lobby and walked outside the hotel. The Alabama River was only steps away and looming over both the river and hotel was the bridge. I’d heard tales on my trip into the state about Bloody Sunday, the bridge crossing and Dr. Martin Luther King Jr., but they didn’t really mean anything until I laid eyes on this bridge in the daylight. I regret that I didn’t have time to walk across that morning, but this is certainly one bridge that needs to be experienced on foot. 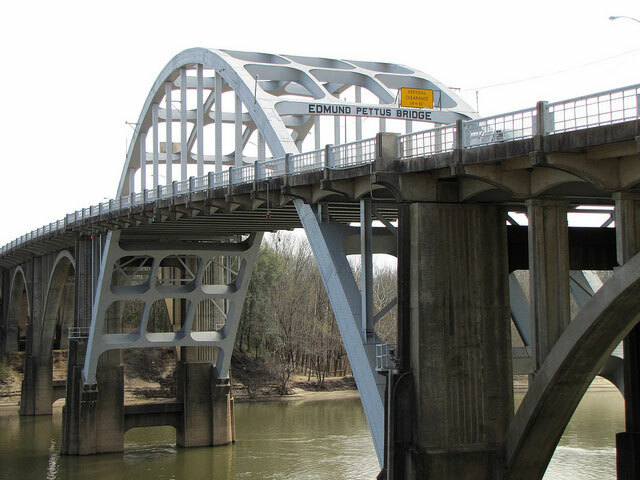 In contrast to its curving arch and graceful silhouette against the water, Edmund Pettus Bridge — named for a high level member of the Alabama Ku Klux Klan — holds memories of beatings, tear gas and even the murder of one civil rights activist. In Selma, it’s not the outlaw Jesse James and his ghost that you should be concerned about, but the many brave men and women who stepped foot on that bridge on March 7, 1965, and made a historic stand in the Civil Rights Movement. 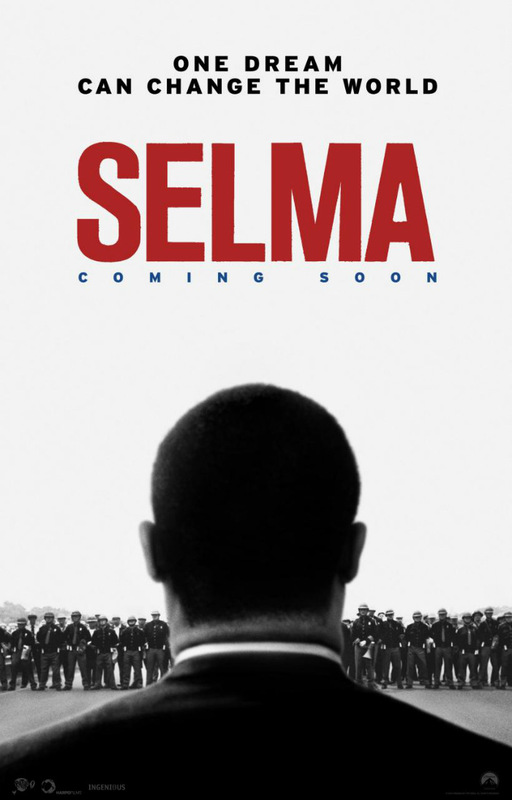 Ava DuVernay’s new film “Selma” opened in theaters over the weekend and brings the small Alabama town, events of Bloody Sunday and work of Dr. King to the big screen. 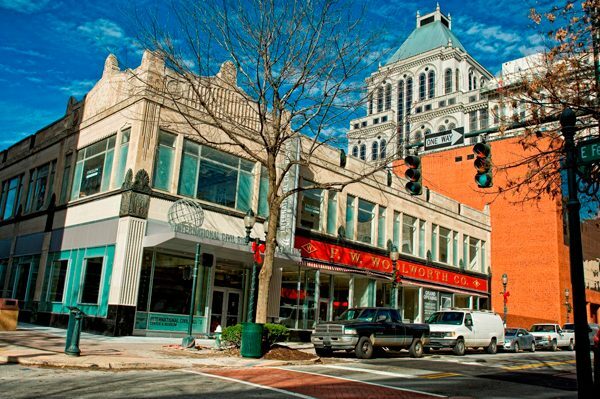 We suggest planning a pilgrimage to Selma this year if you can and walking across Edmund Pettus Bridge as well as visiting several other sites in the city dedicated to telling the story of a movement that’s still ongoing today. The annual Bridge Crossing Jubilee takes place March 5-9 in commemoration of Bloody Sunday. Located at the intersection of Broad and Water streets, the bridge is hard to miss. Cross starting from the St. James Hotel side to take the route marchers did in 1965. 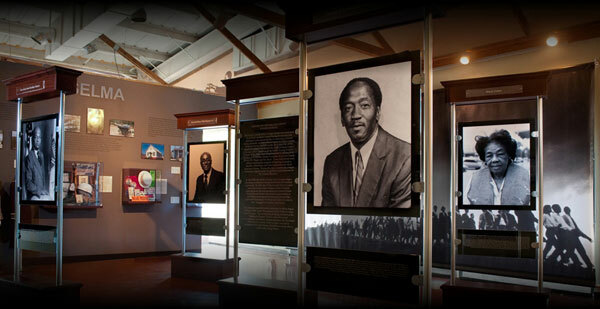 Located at the foot of Edmund Pettus Bridge on the northern side, this museum preserves the historic journey for the right to vote by exhibiting materials and artifacts from the voting rights struggle in America. See footprints of foot soldiers, a gallery of women’s suffrage, exhibits on Dr. Martin Luther King Jr., the KKK and voting booths, along with lots more. The museum is open Monday through Thursday from 10 a.m.-4 p.m. and weekends by appointment only. Admission is $6.50 for adults and $4.50 for students and seniors. 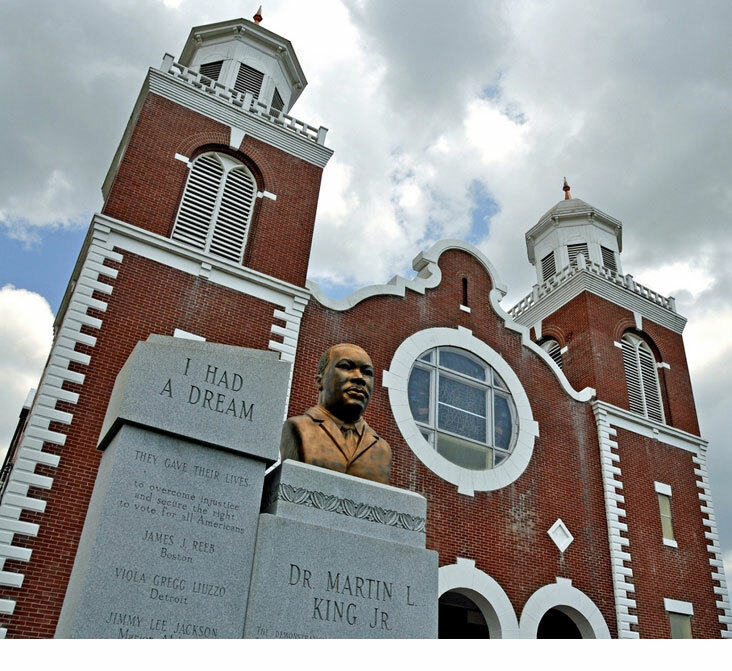 Headquarters for the 1965 voting rights marches and meeting place of the Southern Christian Leadership Federation, Brown Chapel is a National Historic Landmark and has a monument dedicated to Dr. King in front. 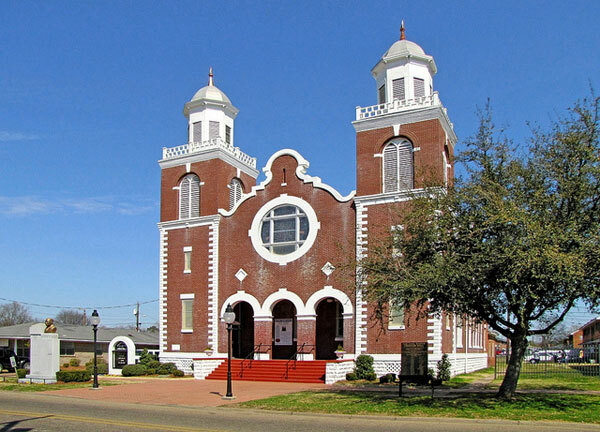 The church is located at 410 Martin Luther King St. This trail begins at Brown Chapel, crosses Edmund Pettus Bridge and ends 54 miles east to the State Capitol in Montgomery. The National Park Service advises allowing sufficient time to stop and see the sights, envision the march, feel the tension, cross the bridge and follow the paths of the foot soldiers. Sites include the Lowndes Interpretive Center near the site of “Tent City” midway between Selma and Montgomery and other trail markers along the way ultimately leading to the steps of the Alabama State Capitol. 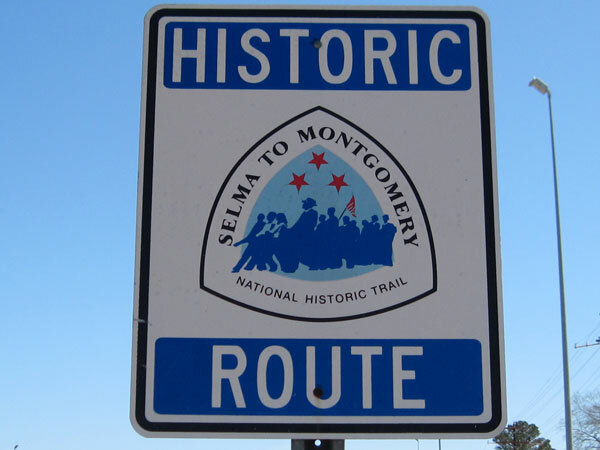 Find out more about Selma and its history and notable sites here. 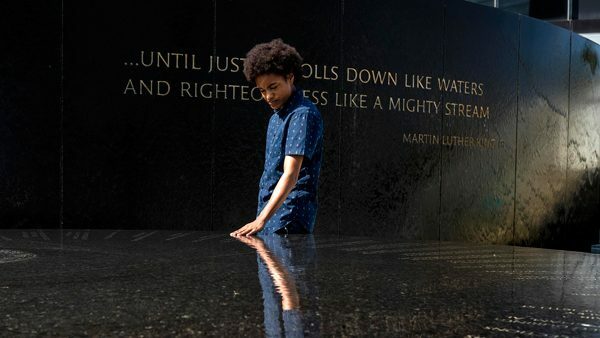 Photo Credits: Featured MLK monument, Edmund Pettus Bridge and Brown Chapel courtesy of Rural Southwest Alabama.